Paying homage to our favorite yeast, St. Bretta is fermented with our house mixed-culture of Brettanomyces. From its historic significance in old world beers to this, the new age of Brett, we embrace this yeast as a focal point in our artisan brewery. A re-imagination of early farmhouse saisons brewed in Europe, St. Bretta combines fresh citrus characteristics with yeast-driven tropical fruit flavors and aromas. Unfiltered and wild, we package each can with a small amount of yeast to maintain maximum freshness for wherever life's adventures take you. Our brewers work tirelessly, deliberating over new ways to expand the flavors and aromas derived from hops while limiting the bitter components. Fermented with our Bretanomyces mixed yeast culture. HopSavant showcases unique characteristics only obtained trhough fermentation with wild yeast strains. Unfiltered and naturally wild, we pack each can with a small amount of yeast to maintain maximum freshness for wherever life's adventures take you. 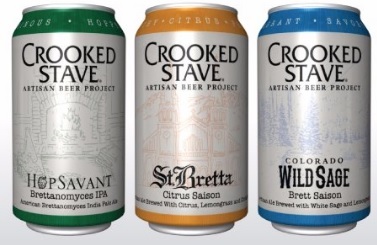 We at Crooked Stave find solace playing in the Colorado mountains and possess a great pride fro the place we call home. Paying homage to our great state, we brewed Colorado WildSage, a Brett Saison incorporating fresh herbs, including white sage and lemongrass. Brewed with all Colarado ingredients in order to deliver a little bit of the high country to everyone who decides to share in this beer with us. Unfiltered and naturally wild, we package each can with a small amount of yeast to maintain maximum freshness for wherever life's adventures take you. 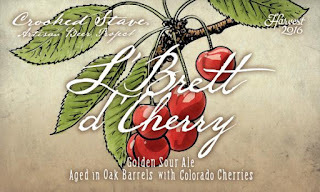 Burgundy Sour Ale Aged in Oak Barrels with Colorado Montmorency Cherries. 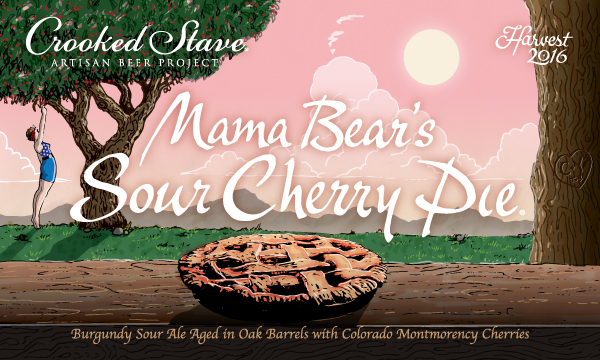 The result of blending carefully chosen batches of Origins with a heavy handed addition of Montmorency cherries sourced from orchards on the Colorado Western Slop, our Harvest 2016 release of Mama Bear's Sour Cherry Pie is a truly unique representation of the creativity, experimentation, and proven process that goes into each year's release. In auspicious fashion, we christend our new brewhouse by brewing a celebratory beer for the birth of our first born son Terje, born January 29th, 2015. 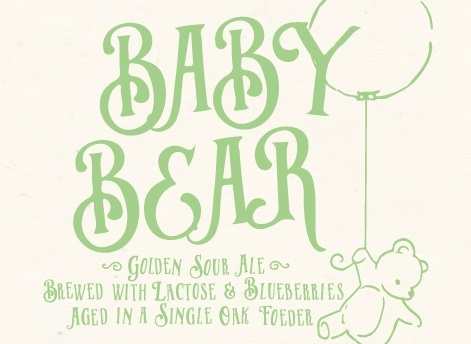 This inaugural Baby Bear beer incorporates both our favorite brewing incredients and things that our newborn quickly acquired taste for. Built upon a golden malt base, reminiscent of graham crackers, we layered our conception with a heavy dose of lactose before fermenting in our Baby foeder with our house mixed culture of yeast and bacteria. We couldn't resist aging this beer with copious amounts of whole blueberries from our home away from home in northwest Washington, where my wife grew up. 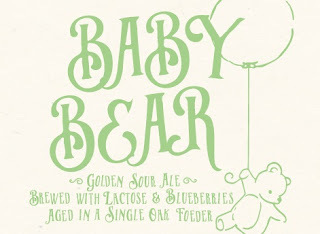 Enjoy this beer for years to come, I know we will while we watch our son grow. Every so often we find ourselves tasting exemplary batches that lend themselves perfectly to new and experimental fruits we don't often brew with. 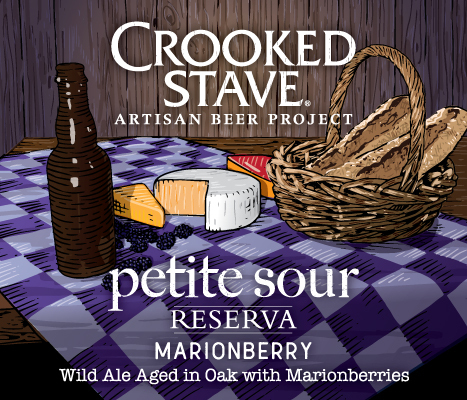 Produced in small quantities, Petite Sour Reserva is our means to express these limited edition batches with flavors we are excited about. 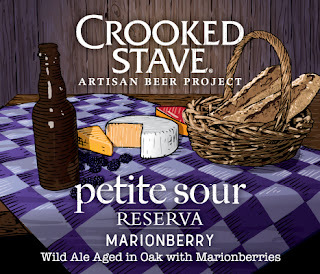 Provision Sour Ale Aged in oak barrels with Colorado Peaches and Cherry skins. 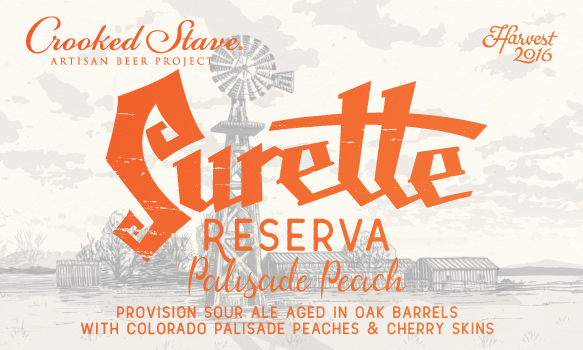 We have hand picked each Surette Reserva from unique batches that develop with indefinable complexity. We uphold the time honored traditions used to make spontaneous Belgian style lambic through embracing natural fermentation in oak with microflora native to our brewery. We've selected unique barrels to balance the heavy handed addition of fresh cherries, expressing the Colorado western slope terroir from which our fruit is sourced, and a quality that reflects the skilled stewardship of our partner farmers. We have hand picked each Surette Reserva from unique batches that develop with indefinable complexity. Through embracing variation with our brewing seasons, each is an expression of the terroir from which our fruit is sources, the skilled stewardship of the farmers we work with, and the rustic beers we produce.